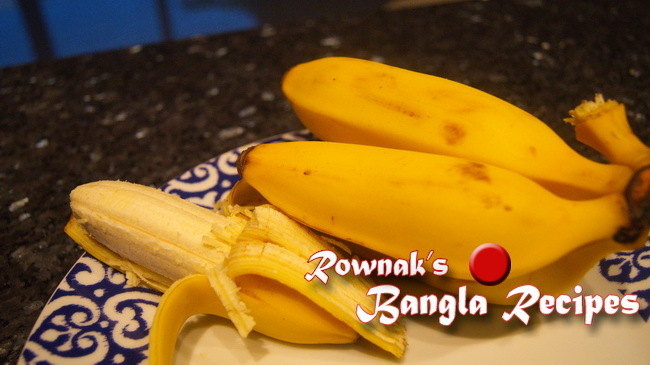 Kolar Pitha / Banana Fritter is a very simple snack. Chinichompa kola(a type of small banana with unique fragrant and taste ) is usually used in the recipe.There is no use of water in this recipe. 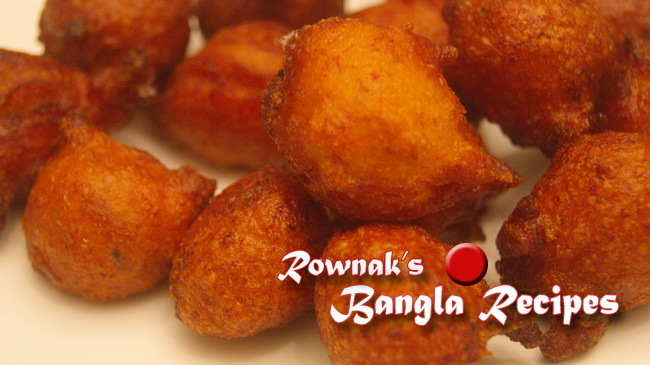 Taler pitha /Palm fritter is made with same way. 1. Mashed banana, jaggery and salt together; make a smooth batter. 2. Add rice flour and flour and make a nice smooth thick batter. Add black cumin. 3. Heat the oil in the frying pan. When oil is ready, make roundel of batter and carefully add it into the oil. Don’t overcrowd in frying pan. 4. Fry in medium till it becomes golden brown. 5. 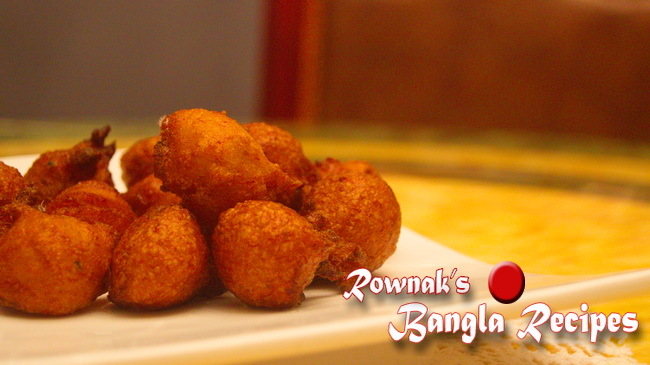 Enjoy Kolar Pitha / Banana Fritter. 1. Fry on medium heat to cook properly otherwise they will remain uncooked inside. 2. 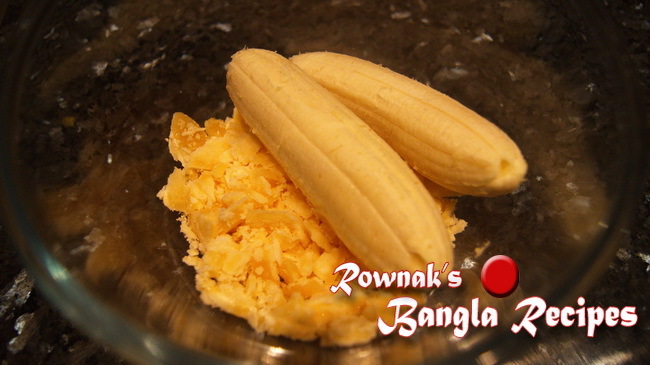 Depend on banana size you will need more or less rice flour. Hi, How long and how can you preserve this pitha? If I make it now, can I keep it till next 3 weeks in a closed container?